Competing priorities, goals, and mandates can put tremendous pressure on the project team and can often trigger strong emotional responses. Award-winning and pioneering neuroscientist Dr. Richard J. Davidson says that differences in how people react to stressful events have less to do with the external circumstances and more to do with their emotional styles. Based on over 30 years of research on emotions, Dr. Davidson identified six dimensions that, taken together, define the individual’s emotional style. The six dimensions are: Resilience, Outlook, Social Intuition, Self-Awareness, Sensitivity to Context, and Attention. Understanding these emotional styles will empower project managers to recognize their own overall emotional styles and the styles of those they lead. In this interview, Dr. Davidson shares insights about the six emotional styles from his latest book “The Emotional Life of Your Brain”. 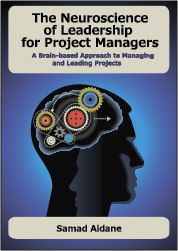 The book is one of the first accessible and practical guides for making sense of emotions, grounded in solid neuroscience research that project managers will find directly applicable in understanding emotions in their projects. This is an exceptional book and I highly recommend it. Dr. Richard J. Davidson is the William James and Vilas Research Professor of Psychology and Psychiatry, Director of the Waisman Laboratory for Brain Imaging and Behavior and the Laboratory for Affective Neuroscience, Founder and Chair and the Center for Investigating Healthy Minds, Waisman Center at the University of Wisconsin-Madison. 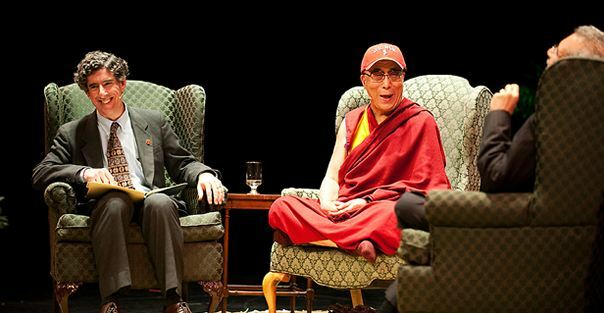 He received his Ph.D. from Harvard University in Psychology and has been at Wisconsin since 1984. 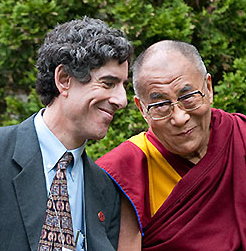 He was named one of the hundred most influential people in the world by Times Magazine in 2006 and also serves on the board of directors of the mind and life institute, a group dedicated to promoting a dialogue between western scientists and the Dalai Lama. DR. DAVIDSON: Thank you very much. It’s good to be here. Thanks for having me. SAMAD: Dr. Davidson the book describes your personal and professional journey to understand why and how people defer in their responses to events in their life. What motivated you to be interested in doing research in this topic? Why should leaders be interested in this research? DR. DAVIDSON: I was motivated to do research on this topic because I noticed very early on in my career that probably the most important thing about emotion in humans is that people vary in how they respond to adversity, how they respond to life swings and arrows. Some people are very resilient and are able to overcome adversity quite quickly. Other people spiral downward and have a very persistent response. Those differences struck me as being very important to human functioning in many different domains. I was captivated by that from very early on. In terms of leadership, leaders must understand the diverse emotional styles of the people that they lead. One of the important points about the book is that there is no one style that is the best. There’s no one formula for all. There really is an important issue in understanding why certain emotional styles may be good for particular people and other emotional styles good for other people. It really depends upon an individual’s own environmental niche and the style that may be optimally suited for him or her within that niche. This is something critical, I think, for leaders to appreciate. SAMAD: You say that emotion works with cognition in an integrated and seamless way to enable us to navigate the world of relationships, work, and spiritual growth. 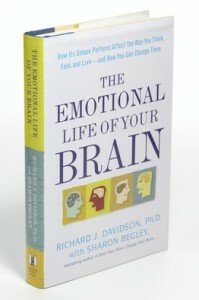 The book describes six emotional styles that drive and govern how we respond to experiences in our lives. How did you discover these six emotional styles? How is this model different from other types of classifications and assessment frameworks, such as Myers-Briggs, Disc, and Strengths Finders? DR. DAVIDSON: These six styles emerge from thirty-plus years of neuro-scientific research. I did not just sit down one day and decide de novo what the range of emotional styles must be and propose them. They emerged over the course of thirty years of neuro-scientific research. These styles are completely different than anything that has preceded them because none of the classifications schemes that are available, such as from the Myers-Briggs or anything like that come from understanding the brain. This is the first attempt to develop a classification system of this kind based directly upon knowledge of the brain. SAMAD: I totally agree. For the first time I find understanding of emotions based purely on research from labs and data that is supported by scientific research. This is why I was excited about this book for the last six months since I heard about it. SAMAD: Can you give us a brief overview of each of the six emotional styles and their implications for leaders in the workplace? DR. DAVIDSON: Certainly. The first style is resilience and it refers to how quickly or slowly a person recovers from adversity. Some people take a long time. Other people can recover quickly, as I mentioned earlier. A second style is outlook. Outlook refers to the extent to which you have positive emotion that persists. Whether you see the world through rosy colored glasses or see it in a more gloomy way. People vary along this dimension. A third style I call self-awareness. Self-awareness refers to how accurate you are in picking up your own bodily cues that are associated with emotions, such as patterns of changes in physiology, like heart rate, sweating on your skin, or muscle tension. Again, people vary along this continuum. Fourth style is social intuition. Social intuition refers to how accurate you are to picking up another person’s non-verbal cues of emotion, such as facial expression, tone of voice, or body posture. Again, people vary along the continuum. The fifth style is sensitivity to context. How much do you regulate your emotional responses based upon the context you’re in. For example, a person who is having a conversation with his or her spouse would presumable behave differently than if he or she were having a conversation with his boss. Those are two very different contexts. Being able to appreciate context and take that into account is important in how we regulate our emotions. Finally the last style was attention which refers to how focused or scattered you are. It relates to the extent to which you are distracted by cues of emotion that we’re surrounded with in our environment, or whether you’re able to focus and filter out those cues when you need to. Each of these six styles refers to a continuum or dimension. We all have each of these six, but we all differ in where we fall along each of these six. Every one of these I think is important in leadership. You can pick any one and think about why it may be significant for a leader, but let’s just take one as an example. Social intuition, the extent to which a person is accurate or not accurate in picking up non-verbal cues of emotion. People who have a job which depends upon interpersonal interaction in social relationships need to have some degree of skill at being able to pick up on non-verbal cues of emotion. This is critical for negotiations and so forth. For other kinds of jobs, say for someone who primarily works on developing computer code as a programmer. They may not have to interact much with people and in fact they may find that distracting. They may find greater pleasure and they derive greater pleasure in interacting with a machine than they do interacting with a person. For them social intuition is not very important. I think for a leader, being able to be able to better match the job responsibilities of an employee with the individuals own emotional style may lead to the most optimal kind of performance. SAMAD: You have done ground breaking research that shows the benefits of mindfulness and long-term and short-term mediation. What are some of the key insights emerging from this research that can inform how we think about these emotional styles? DR. DAVIDSON: The research on mediation and mindfulness has been critically important because these are century old strategies that really evolved to help regulate ones emotional style, to help transform emotions in a more positive direction. They are simple strategies that can be deployed any time. Easily deployed during the day for example, that can really help our emotions and alter emotional styles in ways that may be beneficial. For example recovering from adversity, which is quite a resilient style, can be very dramatically benefited by mindfulness practices. These are simple practices that teach a person how to pay attention on purpose non-judgmentally. The non-judgmental piece of that is very important because one of the key mechanisms that results in negative emotion persisting is judgments that we make about adverse events that may occur in the world. Those judgments result in these negative emotions persisting beyond the point where it may be useful. Mindfulness is a simple kind of meditation that can be easily learned that can help promote a more resilient emotional style. SAMAD: Can you share with us a couple of techniques from the book that leaders can use to change where they fall on each of the dimensions of the emotional style, or like how you put in the book, “…nudge themselves in either direction along the dimensions of their emotional style”? DR. DAVIDSON: Yes. Going through all six and actually delineating techniques, I would require far more time than we have. The book contains descriptions of simple techniques that can be used for each of these emotional styles that I think leaders can easily deploy in the workplace. I’ve given one example of how adversity can be affected through mindfulness meditation. I’ll give you one other example. The outlook style refers to how long positive emotions persist for. This is something very important because having a positive attitude really can help goals to be accomplished and can provide an optimistic orientation that can facilitate all kinds of other things. One of the ways that style can be nurtured is through another kind of meditation practice that I talk about in the book called Loving-Kindness Arc and Passion Meditation. This is the kind of practice where a person mentally visualizes another person. Then using some simple phrases wishes that person be happy, be well, and be fit. You go through this in a very systematic way. You can go through it with different people. That can actually be used with people in the workplace where you visualize your co-workers. It’s something that can improve interpersonal relationships and lead to more positive emotions during the day. I think through those mechanisms to improve creativity and also improve productivity. That’s one of many simple techniques that I believe are worth trying. They’re inexpensive. They don’t require any technology and they can easily be deployed in the workplace. SAMAD: Dr. Davidson, in closing, what are some of the exciting projects that you’re working on these days? What is next for you? DR. DAVIDSON: We have many exciting things going on in our laboratory ranging from basic research to more applied, what we call translation research. I’ll give you three quick examples. On the translation, or more applied side, we’re doing a lot of work with children. Beginning with preschool children, age three and four. Where we are introducing a curriculum designed to help them better regulate their emotions and also strengthen their attention, basically to cultivate qualities like mindfulness and kindness. We are doing that in the context of rigorously assessing how these interventions changed the brain in behavior. I think that given that we know from neuro-scientific research that children’s brains are more malleable. We can potentially introduce healthier habits of mind earlier in life and enable children to get off on a more positive trajectory. That’s one effort that currently ongoing. A second is with veterans who are returning from Afghanistan and Iraq who are suffering from Post Traumatic Stress Disorder. We are using some simple techniques derived actually from yoga and meditation to help them better regulate their autonomic nervous system and promote greater calmness and relaxation to see if I can make a difference in these individuals who are suffering greatly. A third example is from basic research where we are for the first time examining whether meditation practices can actually change gene expression, can alter the expression of genes in our body which play a critical role in regulating our health. Regulating processes like information which contributes too many chronic diseases. We can now study that for the first time and look at that in relation to the kind of practice that people are doing and whether the changes to the brain are mediating these changes to the gene expression. Those are three examples of current ongoing studies. SAMAD: Dr. Davidson I want to thank you so much for the work that you do to improve the lives of people all over the world. I want to thank you especially for this book, like I said that I personally have been waiting for since I learned about it about six or seven months ago. It is a book that finally puts emotions where they naturally belong, which is front and center, especially in how leaders manage people. I look forward to a future conversation with you. DR. DAVIDSON: Thank you so much for your kind words. Thank you for having me. I’m so glad you found the book helpful. Durann, Thank you so much for the kind words. I found your review to extremely helpful. And yes, like you I think Dr. Davidson is doing great work. Thank you for taking the time to comment.